Having just returned from the land where horizon to horizon there is nothing but mountains and skies full of glorious colour, I have to say that there are few places where landscape and music intertwine so effortlessly, so naturally. In a short space of time, packed with music and interview the Highland/Island musicians all seemed to have their home in their heart and culture in their soul. 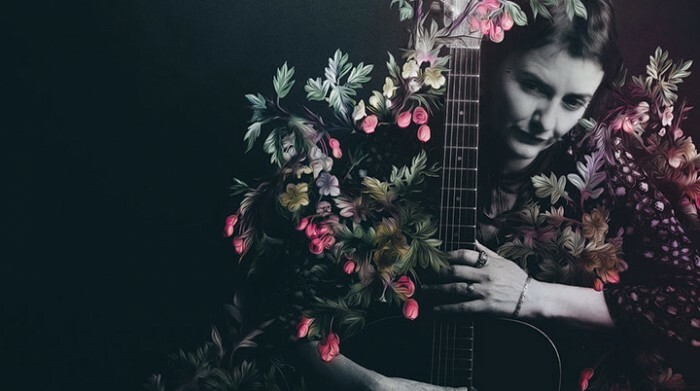 So it is with Kaela Rowan, no matter what fusion she might put into her repertoire – which she does splendidly on Fruited Thorn – she remains a passionate singer rooted in the traditions of her history. Fruited Thorn isn’t one of those shout it from the rooftops albums, it doesn’t make much of a song and dance at all, it is though quietly effective and in its small corner approach all the more memorable. If you were expecting something akin to the Gaelic, croft funk she produces with Shooglenifty, think again, closer to the spirit of her former band Mouth Music but even retreating from the electro swish and glide of Martin Swan, her own motivation is softly traditional. Sung in Gaelic and English the collection is chiefly trad ballads some you may have heard before like Lord Gregory or Bratach Bana, this isn’t the place to play guess where she heard that, what matters is that the arrangements by James Mackintosh and Ewan MacPherson, as well as Rowan herself are simple but end up as ear worms of the first class. I’ve developed a liking for The Bonnie Woods Of Hatton and Griogal Chridhe which is essentially a duet with Rajasthani singer Dayam Khan Manganiyar who weaves and swoops around Rowan’s more steady measured voice with spellbinding results. In fact all contributors – and there are some heavy hitters – Ewan Vernal, Griogair Labhrudidh (just joined the Afro Celts,) John McCusker and Jarlath Henderson amongst them, make this an engaging album which has poignancy and spirit within every track. A fine example of more is less, an album for your more contemplative listener or required listening when your mind is spinning and you just want something to restore your faith in great delivery of timeless sources.